Enclosure Case and Handset,High impact ABS thermoplastic. 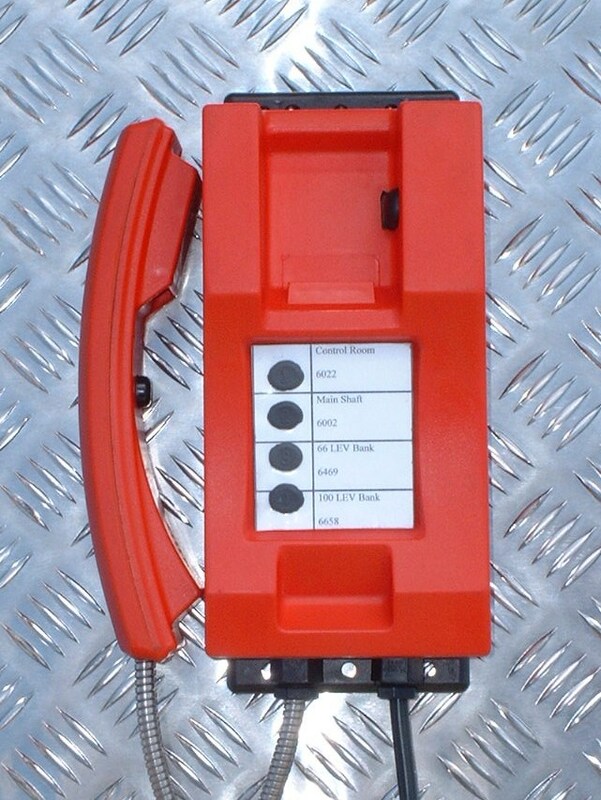 Handset Cord Heavy duty coiled or stainless steel as option Dialling Loop disconnect DTMF Switchable. *, #, mute, flash, recall, options. 10 IPS.M.B.Ratio 34 - 66 Ring Tone Shrill tone, 2k9 Hz through electronic sounder. Down to 35v AC rms 15 � 25 Hz.Standards Approved to S.A. Telkom std. TE/001.Single I/C for speech and dialling. Dimensions 118mm W x 260mm L x 90mm D Protection IP 65 .